Landmark TAILORx Results, Published Today in The New England Journal of Medicine, Demonstrate the Oncotype DX Breast Recurrence Score® Test Definitively Identifies the 70% of Women with Early-stage Breast Cancer Who Receive No Benefit from Chemotherapy, and the 30% of Women for Whom Chemotherapy Benefit Can be Life-saving | Genomic Health, Inc.
REDWOOD CITY, Calif., June 3, 2018 /PRNewswire/ -- Genomic Health, Inc. (NASDAQ: GHDX) today announced that the Trial Assigning IndividuaLized Options for Treatment (Rx), or TAILORx, successfully defined the benefit of chemotherapy in early-stage breast cancer patients with Oncotype DX Breast Recurrence Score® results of 11 to 25. The long-awaited results of the TAILORx study, the largest ever breast cancer treatment trial, sponsored by the National Cancer Institute (NCI), and led by the ECOG-ACRIN Cancer Research Group (ECOG-ACRIN), provided definitive evidence that the Oncotype DX Breast Recurrence Score test identified 70 percent of early-stage breast cancer patients who receive no benefit from chemotherapy, and can be effectively treated with endocrine therapy alone. Additionally, the trial established that chemotherapy may provide life-saving benefit to 30 percent of patients. The TAILORx results will be published today in TheNew England Journal of Medicine in conjunction with a presentation during the Plenary Session at the 2018 American Society of Clinical Oncology (ASCO) Annual Meeting in Chicago. "TAILORx provides the most definitive answer about how to treat women with Oncotype DX Recurrence Scores of 11 to 25, as well as 0 to 10," said lead author Joseph A. Sparano, M.D., associate director for clinical research at the Albert Einstein Cancer Center and Montefiore Health System in New York City and vice chair of the ECOG-ACRIN Cancer Research Group. "The results provide an unprecedented level of precision and highest level of evidence supporting the use of this test to guide adjuvant chemotherapy use in this population, which accounts for about one-half of all breast cancers." About 50 percent of all breast cancer patients diagnosed worldwide each year have hormone-receptor positive, HER2-negative, node-negative cancer. The TAILORx study definitively established that chemotherapy may be spared in about 70 percent of these patients, including all women older than 50 with Breast Recurrence Score® results of 0 to 25 and all women age 50 or younger with Breast Recurrence Score results of 0 to 15. Importantly, 30 percent of early-stage breast cancer patients will derive benefit from chemotherapy, including women of any age with Breast Recurrence Score results of 26 to 100, and in women younger than 50, where a modest (2 percent) benefit from chemotherapy was observed with Breast Recurrence Score results of 16 to 20, which gradually grew as scores increased up to and above 25. This important finding reveals a new level of precision of chemotherapy benefit for younger patients that only the Oncotype DX® test can provide. 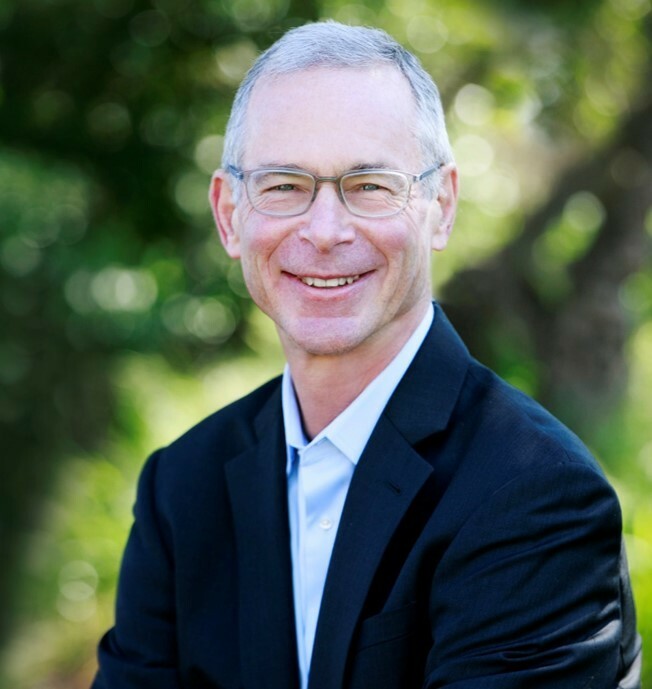 "TAILORx, as well as the completed NSABP B-20 Oncotype DX study, are unparalleled in their design to define who does, and who does not, benefit from chemotherapy," said Steven Shak, M.D., chief scientific officer and chief medical officer, Genomic Health. "The long-term TAILORx results provide the highest level of evidence for Oncotype DX, allowing physicians to now tell every patient, with precision, what their magnitude of chemotherapy benefit will be." The TAILORx trial was independently designed and conducted by ECOG-ACRIN under the sponsorship of the NCI, part of the National Institutes of Health. All major cancer clinical research groups with trial sites in the United States, Canada, Ireland, Peru, New Zealand and Australia participated in the study. Investigators used the Oncotype DX Breast Recurrence Score test on every patient to assign treatment or randomization in order to determine whether chemotherapy would be beneficial or not. The four research groups are the Alliance for Clinical Trials in Oncology, Canadian Trials Group, ECOG-ACRIN Cancer Research Group, NRG Oncology and SWOG. TAILORx participants with Breast Recurrence Score results from 0 to 10 were treated with endocrine therapy alone based on the prior results from the NSABP B-20 study, which showed no opportunity for chemotherapy benefit. 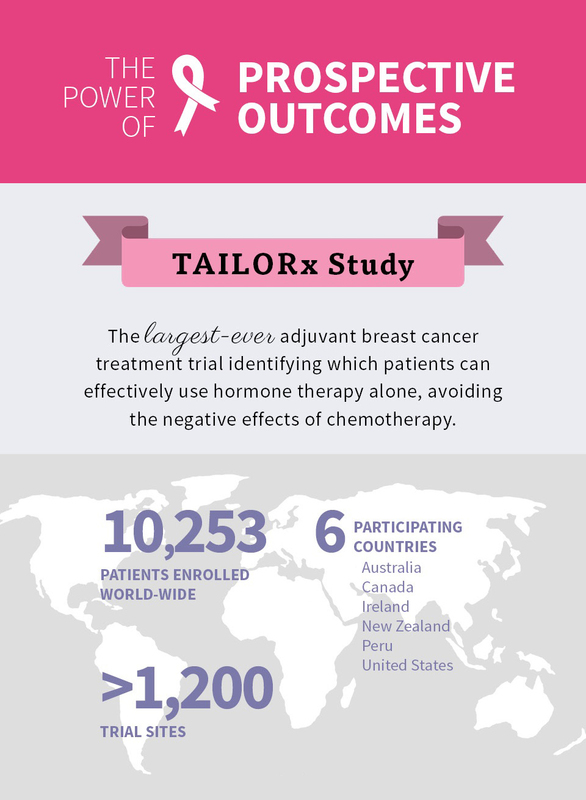 TAILORx participants with Breast Recurrence Score results from 26 to 100 were treated with chemotherapy plus endocrine therapy based on the prior results from the NSABP B-20 study, which showed an absolute benefit of chemotherapy greater than 20 percent. To more precisely define the effect of chemotherapy for women considered to be at intermediate risk for recurrence, 6,711 women with Oncotype DX Breast Recurrence Score results of 11 to 25, the primary study group in TAILORx, were randomized to receive endocrine therapy with or without chemotherapy. These randomized patients comprised two-thirds of all patients enrolled in TAILORx and were followed by the investigators for approximately nine years on average. In total, 10,273 patients enrolled in TAILORx between 2006 and 2010. Genomic Health provided funding for collection of follow-up information from the treating sites. Genomic Health funding was not provided in the planning and execution of the study. The Oncotype DX® portfolio of breast, colon and prostate cancer tests applies advanced genomic science to reveal the unique biology of a tumor in order to optimize cancer treatment decisions. The company's flagship product, the Oncotype DX Breast Recurrence Score® test, is the only test that has been shown to predict the likelihood of chemotherapy benefit as well as recurrence in invasive breast cancer. Additionally, the Oncotype DX Breast DCIS Score® test predicts the likelihood of recurrence in a pre-invasive form of breast cancer called DCIS. In prostate cancer, the Oncotype DX Genomic Prostate Score® test predicts disease aggressiveness and further clarifies the current and future risk of the cancer prior to treatment intervention. With more than 900,000 patients tested in more than 90 countries, the Oncotype DX tests have redefined personalized medicine by making genomics a critical part of cancer diagnosis and treatment. To learn more about Oncotype DX tests, visit www.OncotypeIQ.com, www.MyBreastCancerTreatment.orgor www.MyProstateCancerTreatement.org. Genomic Health, Inc. (NASDAQ: GHDX) is the world's leading provider of genomic-based diagnostic tests that help optimize cancer care, including addressing the overtreatment of the disease, one of the greatest issues in healthcare today. With its Oncotype IQ® Genomic Intelligence Platform, the company is applying its world-class scientific and commercial expertise and infrastructure to lead the translation of clinical and genomic big data into actionable results for treatment planning throughout the cancer patient journey, from diagnosis to treatment selection and monitoring. The Oncotype IQ portfolio of genomic tests and services currently consists of the company's flagship line of Oncotype DX® gene expression tests that have been used to guide treatment decisions for more than 900,000 cancer patients worldwide. Genomic Health is expanding its test portfolio to include additional liquid- and tissue-based tests, including the recently launched Oncotype DX® AR-V7 Nucleus Detect™ test. The company is based in Redwood City, California, with international headquarters in Geneva, Switzerland. For more information, please visit, www.GenomicHealth.com and follow the company on Twitter: @GenomicHealth, Facebook, YouTube and LinkedIn. This press release contains forward-looking statements within the meaning of the Private Securities Litigation Reform Act of 1995, including statements relating to the benefits of the Oncotype DX Breast Recurrence Score test to physicians, patients and payors. Forward-looking statements are subject to risks and uncertainties that could cause actual results to differ materially, and reported results should not be considered as an indication of future performance. These risks and uncertainties include, but are not limited to: the results of clinical studies, including the TAILORx study; the applicability of clinical study results to actual outcomes; the ability of the test results to change treatment decisions and improve patient outcomes; the risks and uncertainties associated with the regulation of the company's tests; the risk that the company may not obtain or maintain sufficient levels of reimbursement, domestically or abroad, for its existing tests and any future tests it may develop; the risks of competition; unanticipated costs or delays in research and development efforts; and the other risks set forth in the company's filings with the Securities and Exchange Commission, including the risks set forth in the company's annual report filed on Form 10-Q for the year ended March 31, 2018. These forward-looking statements speak only as of the date hereof. Genomic Health disclaims any obligation to update these forward-looking statements. NOTE: The Genomic Health logo, Oncotype, Oncotype DX, Breast Recurrence Score, Recurrence Score, Oncotype DX AR-V7 Nucleus Detect, Oncotype DX DCIS Score, Oncotype DX Genomic Prostate Score, and Oncotype IQ are trademarks or registered trademarks of Genomic Health, Inc. All other trademarks and service marks are the property of their respective owners.